As I mentioned in my application journey last year, I applied to one top school and was waitlisted. Since then, I have gotten feedback on my application, and now understand how I could have been better. I hope that my lessons learned will help you determine how to build YOUR perfect application and get into your dream school. 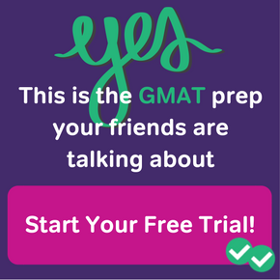 The GMAT is the universal medium in which all applicants are compared. 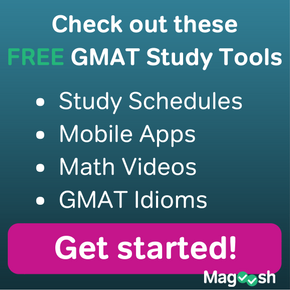 Love it or hate it, the GMAT is an aspect of EVERY application. However, it is an aspect that you currently have direct control over (unlike your GPA). 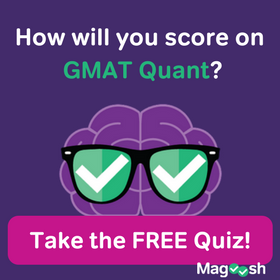 AND, the GMAT is not an IQ test. In fact, it has been proven that the more you study, the higher your score will be. Last year, I got a 710 (an unlucky sweet spot if you will); the general rule is that you want to be in your target school’s score range. HOWEVER, if your score is higher than the average… that definitely puts a new perspective on your app (in my opinion). The essays are arguably one of the BEST ways to illustrate to the Adcom who you are as a person, and what you have to bring to the table. I know for a fact I could have done better in this area. You need to be able to illustrate two main concepts in your essays: why you would be a great person in their Class of 2017 and your future employability (via your realistic short term goals). To ensure that you are hitting all the points, try to tap into your network to get feedback on your essays. I didn’t have a person with an MBA background read my essays, and that really put me in a tough spot last year. For the most part your resume is already complete (such as your GPA, work experience). Although your experiences are set, make sure that your resume clearly communicates that you can produce results, that your career is currently advancing/evolving, and that you have leadership skills. The biggest mistakes I see in resumes is that they do not quantitatively show the applicant’s impact to the organization. It is so CRITICAL that your resume shows your impact quantitatively, not just a list of responsibilities. Last year, I did the latter, and I was waitlisted. Don’t just gloss over this part of your application. Ensure you have zero typos and zero mistakes (quadruple check your work!). Also, make sure you are not just giving canned descriptions of awards, companies, etc. (another mistake I made). Every word the admission officer is reading on your application is an opportunity to sell how great you are—do NOT squander it! Finally, we have arrived at the letters of recommendation. This is the most “exciting” part of the application in my opinion. Two key takeaways here are 1) choose your recommenders wisely and 2) prepare them with a “Recommender’s Packet.” If you can, choose your current employer or customer, as they will be able to articulate how you perform currently. As far as the packet is concerned, it should include key facts about you, describe your relationship with the recommender (key events) and illustrate why you would be a good fit for business school. And do yourself a favor… make sure your recommender is an advocate for you!